When buyers consider investing Mexico real estate, especially one of the thriving markets Playa del Carmen, one of the first questions that comes to mind is safety; not only safety in day to day life, but also financial and economic safety. The good news is that Mexico offers a high level of safety in all three areas. And it JUST KEEPS GETTING BETTER… The past 8 years here in Playa Del Carmen have been (and continue to be) a boom greater than the dot.com boom of 1994-2001 of the USA. Despite large-scale out-of-context news stories about Mexico, the country is actually quite secure when it comes to personal safety. With the right team of professionals, diligence, and something called a FIDEICOMISOS, a real estate buyer can also enjoy a high level of financial safety and frankly “Enjoy one heck of a good life too.” It truly can be said its just like home, only better. There are a lot of good reasons for this. 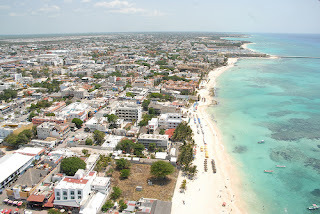 As in most basic human relations, the problems one would encounter here in Playa Del Carmen are more likely to be the same, if not less, problems one has back home in the US. There is only the perception of insecurity given off by media. Looking at reality, there is petty theft in the US, here, or anywhere. For instance, if I don't keep my belongings in a safe place, they might get taken. That happens in the USA, Europe, Latin America, or anywhere. Also worth mentioning, just as life in the united states fosters education, the same principle applies here. With a little education about the area, language, and cultural open-mindedness, the Mexican Caribbean lifestyle awaits to give one the whole new world they desire, and probably a lot more richness too. To be clear, Playa is in South Mexico, not Northern Mexico. And the marked differences are necessary to clarify. 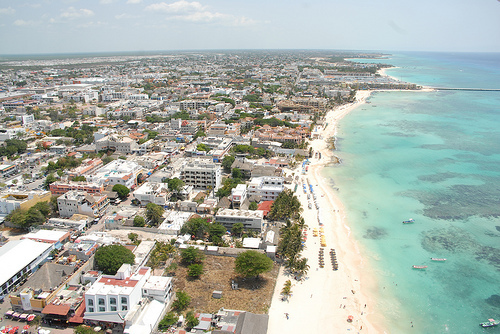 Felipe Calderon's declared war on drugs and/or narco related violence and does not directly effect citizens of playa del carmen in any way, shape, or form. IT is what may be termed, a necessary step in process of developing Mexico as a nation. The government of Mexico has been (and continues) working hard to develop and guarantee economic safety for investors, citizens, and tourists. Especially in the state of Quintana Roo. It is not just great business sense, its great people sense too- as the nation develops. Confidence in Mexico is growing as result of longer-term postive impacts being initiated with the Calderon's leadership directives.